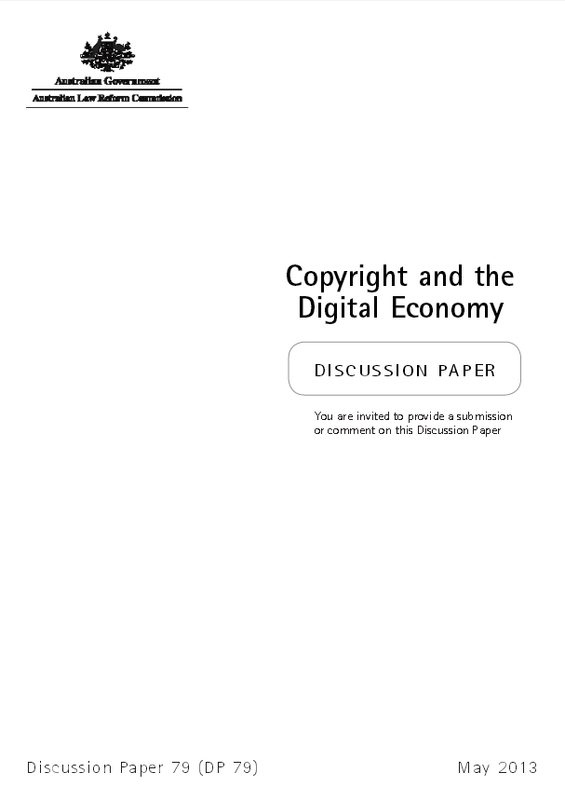 This is the second stage in the consultation process in this Inquiry into whether the Copyright Act needs amendment to allow Australia to fully participate in a modern, digital economy. 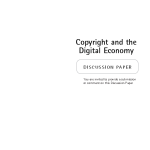 The first stage included the release of the Issues Paper, Copyright and the Digital Economy (ALRC IP 42), which generated 295 submissions. In releasing this Discussion Paper, the ALRC again calls for submissions to inform the final stage of deliberations leading up to the final Report, which is to be provided to the Attorney-General by the end of November 2013. This introductory chapter and Chapters 2 and 3 provide an overview of the policy framework and the background to questions and proposals in the Discussion Paper. They set out in detail the issues raised by the Terms of Reference, the research behind the proposals, a thorough analysis and discussion of stakeholder views. In considering whether changes are needed to the Copyright Act, and options for reform, the ALRC is required to consider whether existing exceptions to copyright are appropriate, and whether further exceptions should be introduced. In doing so the ALRC has to take into account the impact of proposed changes on other areas of law, consistency with Australia’s international obligations and recommendations from other reviews. Posted in Communications, Digital Media, eBusiness, Economy, eGovernment, Governance, Information and tagged ALRC, attorney-general, Australia, Australian Law Reform Commission, copyright, copyright act, Digital Economy, discution paper, international obligations, international recommendations, modern economy, terms of reference.